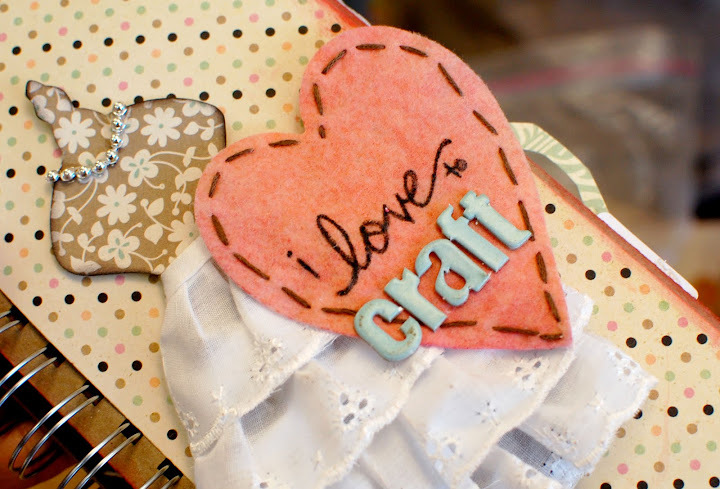 In case you didn’t already hear in the grapevine, I love to craft. 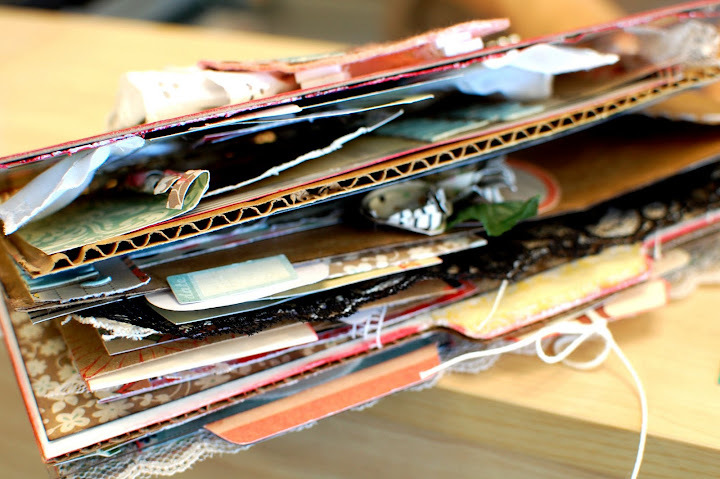 Whether it be scrapbooking or knitting, I like all sorts of crafts. I have no idea why I enjoy creating, but I find it very therapeutic. 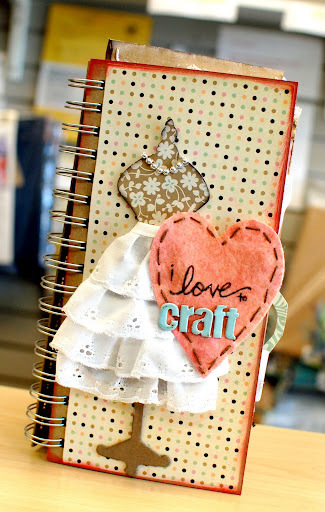 Thus, I created a book about my LOVE to craft using the newest book from Basically Bare. I’m usually not proud of my work, but I really like the way this one turned out. I felt so inspired to make this mini album. I stitched. I sprayed. I inked. I cut. I glued. I embossed. I did just about everything to this one. Goodness, I put my whole heart into this one, and I’m so glad that I did. It was super fun to make it! It was so loaded with stuff that it wouldn’t lie flat, haha! …but who cares?! It’s all about the creativity that I put into it, right?! On another note, Hilo and Maui still romp all over the place. The other day, we thought it would be fun to let them run around on the tennis courts while we played. Hilo had way too much fun. He was exhausted from chasing the ball bouncing all over the court. At least he slept through the night, haha! Maui didn’t bother to chase the ball. Rather, she chased Hilo around the court. After a while, she decided to be a lazy bum and sit on the side and watch us play (and watch Hilo chase the ball like a hooligan). She, on the other hand, didn’t sleep through the night. Aye! 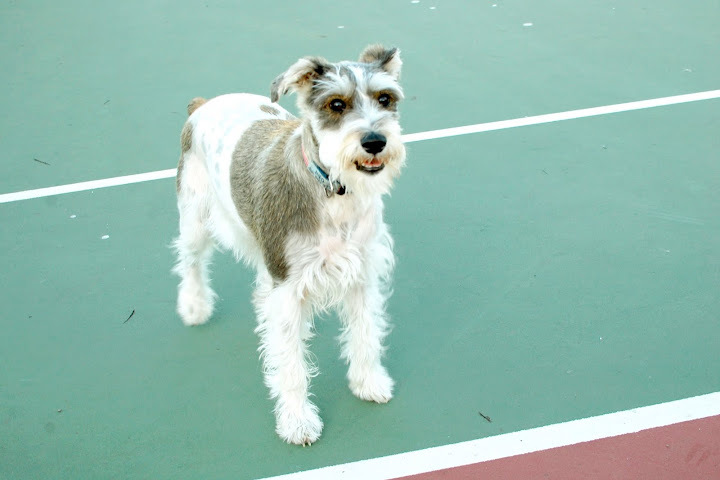 Our dog loves to run on the tennis court too! adore the chunkiness of your album, sarah. it’s divine. Looks like a cute mini! The cover is way too cute! I love “fatty” albums that are so thick they won’t close properly. love the cute little mini! tennis is fun! that’s the classic maui face of indifference. 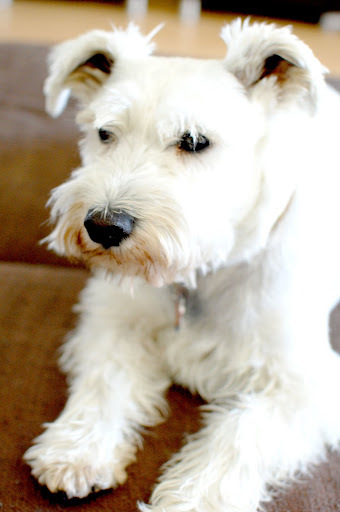 she’s deciding if she should sleep in her bed or right there on the couch.